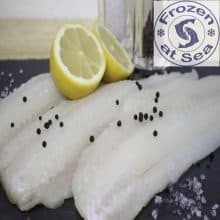 Seafresh Cod Loins are frozen at sea & sourced from area FAO27 in theNorth Atlantic Ocean where the Cod is sustainable. These thick loins are beautifully white, firm, flakey & excellent quality. Each loin is approximately 5-6oz. There are 4 loins per pack & they are packed ready for the freezer. 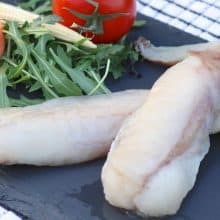 You can cook Cod a few different ways. We recommend oven cook (from frozen or defrosted) as follows. Pre-heat your oven to 180c. Place the cod on a piece of foil large enough to make a parcel. Add some butter, salt & pepper (lemon juice if you like) and gently bring the edges of the foil together to make a loose parcel, making sure there are no open area’s or holes as you don’t want steam to escape. 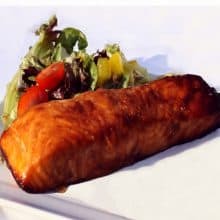 Bake for about 15-20 minutes, (if cooking from frozen add 5 minutes) the Cod will steam cook and keep very moist inside. Once cooked through remove from the foil and serve. 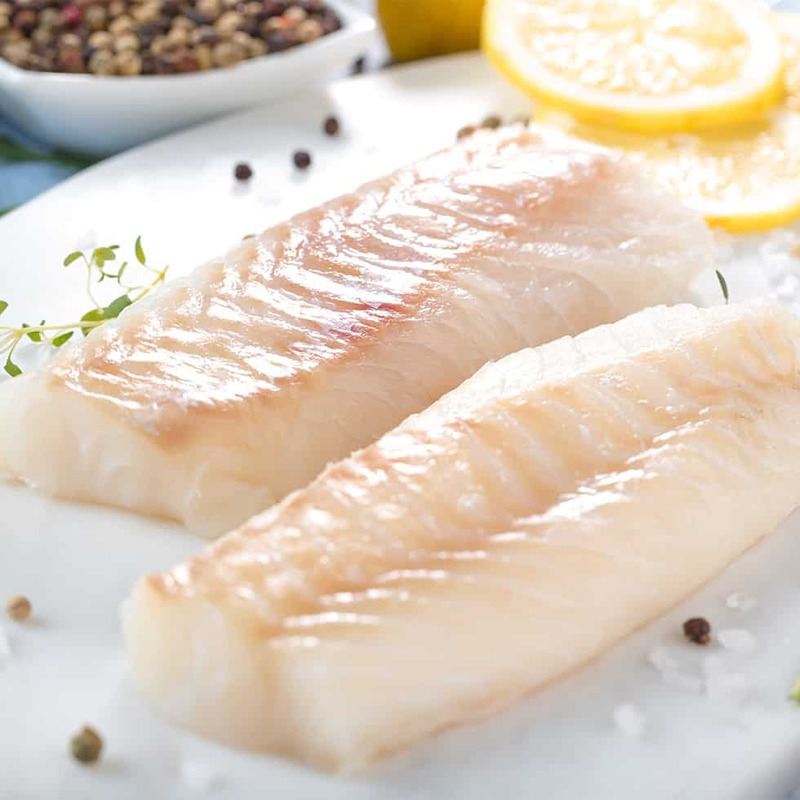 To pan fry its best to defrost the Cod for a few hours first, then add a knob of butter to a frying pan or skillet. Heat to medium hot and add the Cod loins. 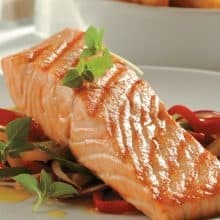 Cook for 4 minutes on each side, adding a little sprinkle of salt & pepper during cooking.